With student recruitment, there are 5 Cs to recruiting your students and creating a relationship with each one. Each of our 21 apps have been carefully considered to give recruitment teams the very best tools to increase student engagement. In order to market your university with prospective students you'll first need to connect with them and build a relationship, whether that's through online enquiries or through meeting them and taking their details at an event. 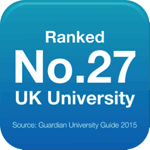 Our Enquiries app is excellent at managing students' initial questions about studying with you. One of our users responded to over 8,000 enquiries with this app. Ensure your marketing campaigns and recruitment activities positively represent your university and stay on brand. It helps to reinforce your brand by keeping material consistent with your brand guidelines, including your online forms. With Student CRM you can create transactional communications and marketing materials to communicate with prospective students. We've also got a useful grab tool to segment groups of students and market to them by a specific criteria. Using a central Student CRM means all your recruitment activities are streamlined which improves your internal communications and helps to build an online relationship with your students - and visible to all departments to form a powerful strategy. Research has shown that personalised communications are far more effective and engaging, Student CRM allows you to merge various details, including first name, into your marketing materials. 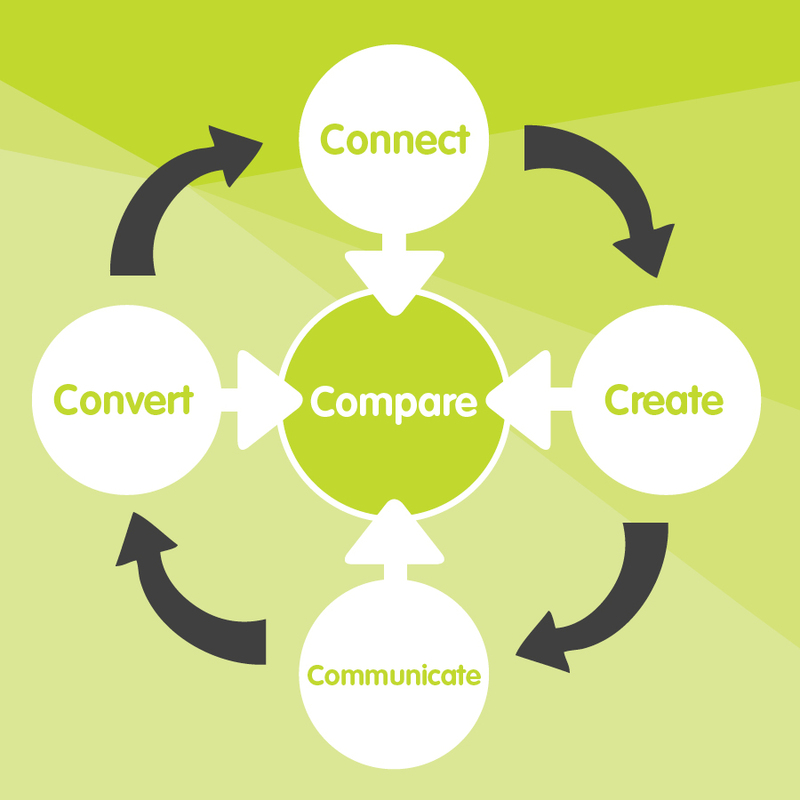 Review and analyse the progress of your recruitment activities by comparing the engagement rates of each. Which open days had most bookings? Which recruitment event collected most student data? Which forms captured most students? How many interactions it took before the student enrolled etc. This can be analysed with our purpose-built Enterprise Reporting app. We're pleased to announce that the UK's most loved student recruitment solution will exhibit at the UCAS Annual Admissions Conference in Newport for the third year running from 30th March to 1st April 2015. We'll be showcasing our hugely popular Student CRM complete with our 21 cutting edge apps - come and find the team, you can't miss us, we're the limest stand there! We can help you increase your number of applications, improve engagement with both international and domestic students, recruit more prospects at recruitment events, organise your open days, manage your enquiries and everything else pre-enrolment. Here's some snaps from last year. Come and visit us on our lime green stand, you can't miss us! According to an article by the BBC, university applications are on the increase with record levels expected for this Thursday's deadline, demonstrating the keen demand for higher education. In 2012, after the controversial introduction of increased tuition fees which tripled to £9,000, the number of applications plummeted. This year, the higher education industry seems to be recovering well with a record number of students enrolling into courses last Autumn (over half a million), showing that students are recognising the value in having a degree, despite the higher tuition fees. Universities are having to work harder to recruit students. With the increase in the number of students enquiring about university places, many universities are benefitting from an advanced Student CRM system in order to market, engage and recruit these students. Open days and events are your most powerful marketing activity. 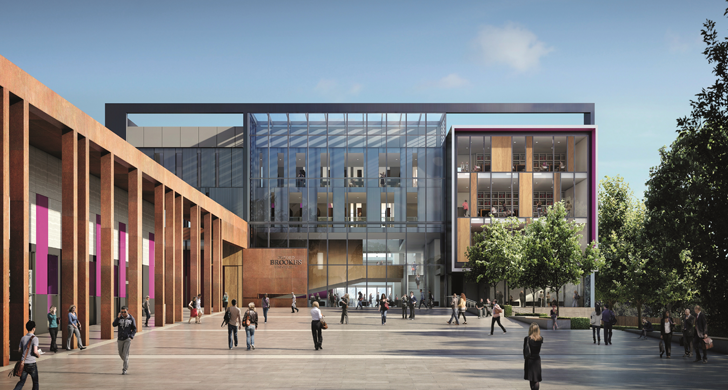 They enable prospective students and their parents the opportunity to see your university in action, speak to current students, investigate course options and check out the local area. 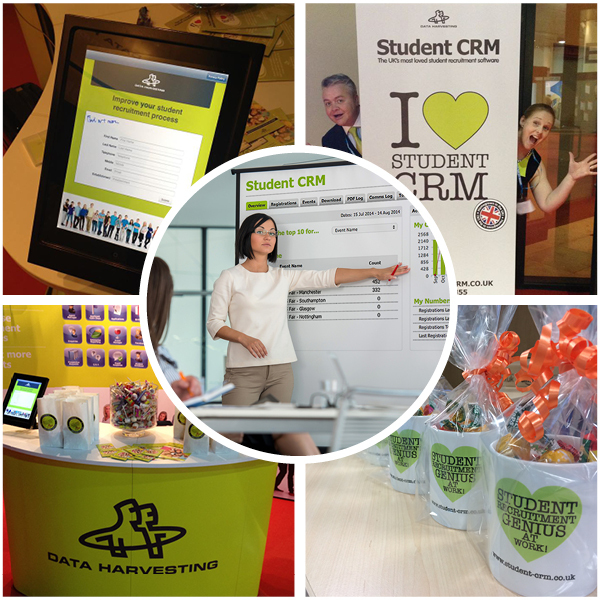 Student CRM gives recruitment and marketing teams the tools to capture more student data at events, manage online bookings, make group bookings and communicate more effectively with students pre and post open days to increase your online bookings and attendance rates. Our 4 dedicated event apps will ensure your open days and recruitment activities give you the best ROI. 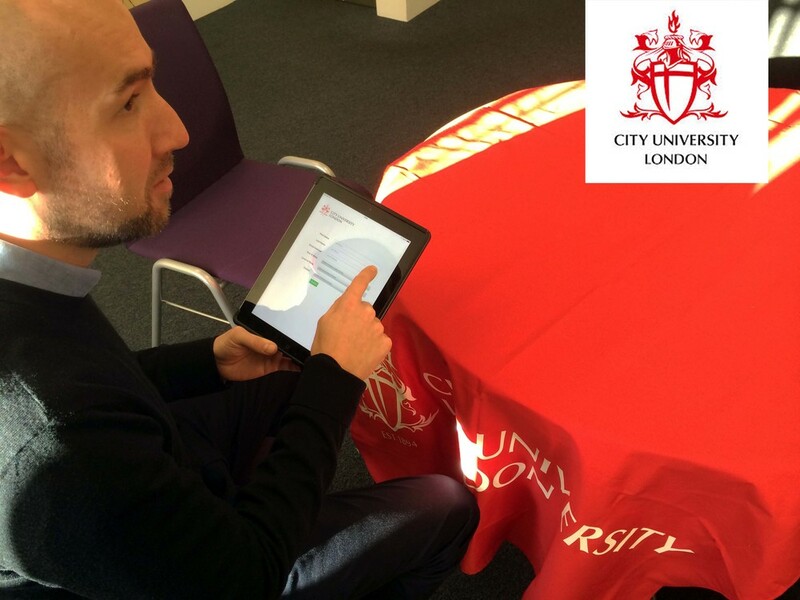 Capture student data offline on iPads at recruitment events worldwide. Once you connect to the internet, the data will sync into Student CRM with your other records ready to be followed up. It also allows you to customise your fields and forms. Invite your applicants to their own tailor-made open day. Send personalised emails to applicants for their specific course, allow them to register online and communicate with them using branded automated emails and texts leading up to the day to increase attendance figures. Manage a full season of pre-applicant open days by inviting students to book online and create a personalised programme of their day to include tours, talks and registration. The app ensures you have a great attendance rate with post follow up workflows and touchpoints for both attendees and non-attendees. Use Event Manager for online bookings of campus tours for parents, students, schools and colleges so they can get a feel for your university with easy online booking with automated communications and booking forms for individual or group bookings. Welcome each student personally by scanning their barcode to avoid bottlenecks and queues so you can easily monitor which students attended and which students to send follow up communications to once information has been synced back into Student CRM. The team at Data Harvesting has worked closely alongside the project team at one of the UK's leading modern universities, Oxford Brookes, to implement and deliver a new Student CRM to manage prospective students right up to enrolment. 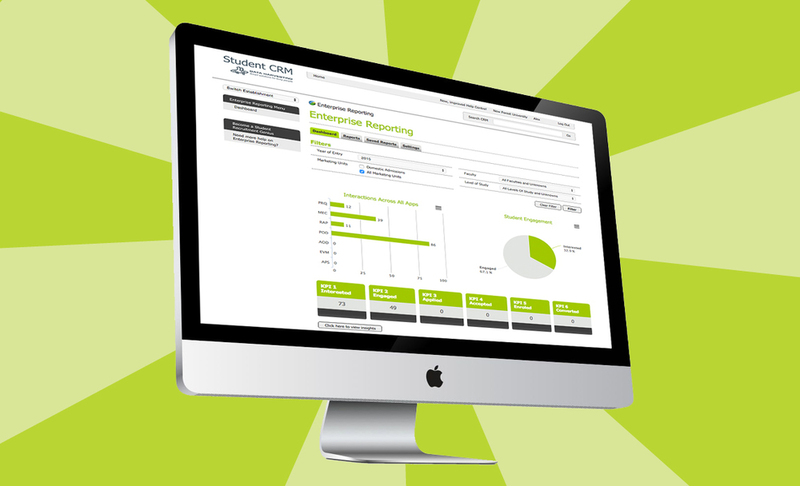 Our experienced developers understand the importance of tailoring a CRM system to meet the needs of each establishment. Although we've built the core Student CRM structure, much of the functionality can be tailored and configured to suit the way in which your departments work. Users are encouraged to join the online community and submit feature requests to shape the future of Student CRM. We are in an industry which is constantly changing with new technologies, new demands from internal stakeholders and new legislation from the government, which is why Student CRM offers a flexible solution to ensure your student recruitment is sustainable in the future. The availability of the support team has been invaluable to the project's success. The team is available during your working hours to help with technical questions after implementation. Our Love-o-meter gives us a 98% live customer satisfaction rating, which is 12% above the industry standard for software. The comments from our customers speak for themselves. Many universities use homegrown, in-house CRM systems built by their IT departments. In the short term it seems like a great idea but quickly becomes difficult to sustain and recruit students over the longer term. While building something in-house may seem like a good idea in terms of customisation, budget and utilising the resources in other departments, in the long run it'll set you back from the competition who have chosen to buy in a professional CRM to improve their student recruitment results, leveraging the vast experience and capabilities of a dedicated educational CRM provider. In our experience of listening to universities, in-house systems can be clunky, take a long time to develop from the ground up, quickly become out of date and can be difficult to use. Student CRM on the other hand, not only easily integrates with many other internal systems but is also robust as it's undergone rigorous security testing to ensure your student data is safe. If you'd like more information or even a free demo of our system just click here.